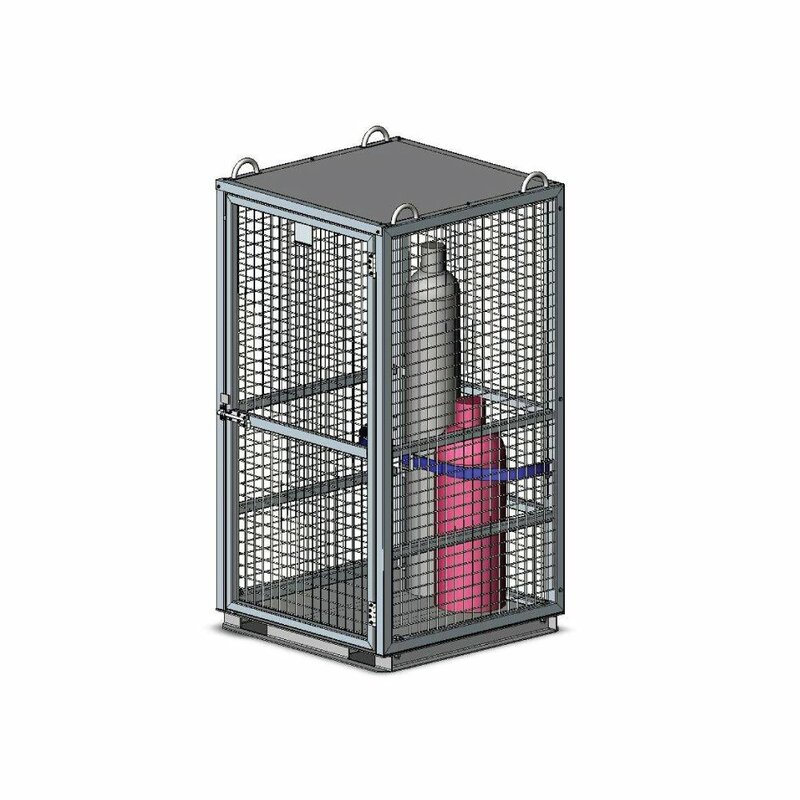 The Gas Cylinder Storage Cage has been designed primarily as a secure storage unit for building sites and mines. The lockable gate, mesh sides and roof sheeting ensure cylinder and gear security. The Cage is fitted with a 4 point Crane lift and Forklift pockets underneath for transport. The internal load binder prevents cylinder movement during transport. The standard finish is Zinc Plated.